Joint cutter MC 450 for cutting asphalt, roadways, concrete, reinforced concrete, floors and for creating joint of dilatation on surfaces. 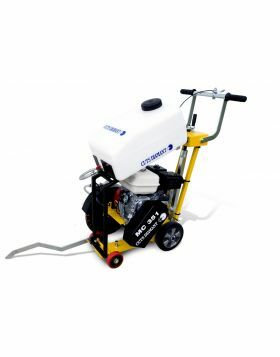 This asphalt and concrete cutter is a fundamental tool for the building contractors engaged in road works, in the roadway maintenance and in laying pipes under roads. 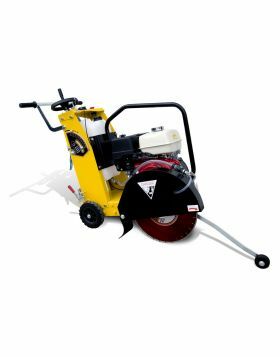 This floor saw is provided with a semi-automatic feed that increases the cutting precision and makes easier the traction of the asphalt cutter. Moreover, the joint cutter is equipped with recoil starter that can be regulated through the accelerator. The diamond blade of maximum 450mm diametre is adjustable in height and is protected by a special frame, which prevents any possible accident to the operator.